In 2015, I joined Automattic — the makers of WordPress.com and Jetpack — as a Happiness Engineer. It was not just a dream-come-true moment, it was also one of the greatest things ever happened to me. However, it wasn’t all luck. A bit of preparation before applying, a lot of patience, and great amounts of hard work during the trial led to my trial lead’s recommendation that I join Automattic as a Happiness Engineer. I do think a bit of luck played its role, but it was also hard work and patience. Since then, I have received countless requests to write my experience during the trial period. I have also received requests to write what a day in the life of a Happiness Engineer looks like. Unfortunately, I have been procrastinating a lot and have not been able to write them yet. Now though, as part of my New Year’s Resolutions, I’m going to finally sit down and write everything you need to know about how I became a Happiness Engineer at WordPress.com/Automattic. This will be a two-part series. This part will consist of my experience surviving the trial period. On the next part, I will describe what a day in the life of a Happiness Engineer looks like. These will be long posts not just because I usually write long articles, but also because I want to give you as complete of a picture as possible. So make sure you have some time set aside to go through the post. Grab a coffee if you want! After you apply for your desired position at Automattic, if your application is selected, you are usually contacted by someone from the hiring team. Different positions may have different ways of how it leads to the trial period, but for Happiness Engineer positions, you often need to complete a few primary tasks. This can be creating a site and customizing it according to some instructions. If you succeed, you may be invited to start as a trial Happiness Engineer. You will have a Trial Lead during this time as well as a buddy. The trial period usually lasts 3 to 6 weeks based on your performance and you are paid on an hourly basis. You have to sign a contract before your trial period starts. During your trial period, you will be given two days of training before you begin working on tickets. In subsequent weeks, you’ll also begin working on live chat support. The idea is for the trial lead to see how you would fit into the role. They assess you based on your interactions and communication skill — among other things — and will decide whether you will be a good fit for the role at the end of the trial period. Let me back up to a few years for a brief history of my relationship with WordPress.com and how/why I applied to become a part of it in the first place. I started a blog on WordPress.com in early 2008 in order to start writing in English with one goal in mind: reach a global audience. I started writing in Bangla in 2006 but later wanted to improve my English and get more readers. Eventually, I learned about self-hosted WordPress.org and taught myself how to host a site on a shared hosting. I loved the total control it gave, so I used WordPress.org on every site that I created. However, there was something about WordPress.com that always attracted me. On WordPress.com, I could just forget about the technical side of things and focus on writing. There was also a community aspect of blogging on WordPress.com. Using the Global Tags, I could get readers who are interested in similar topics. As a result, the blog that I started in 2008 is still up and running on WordPress.com. 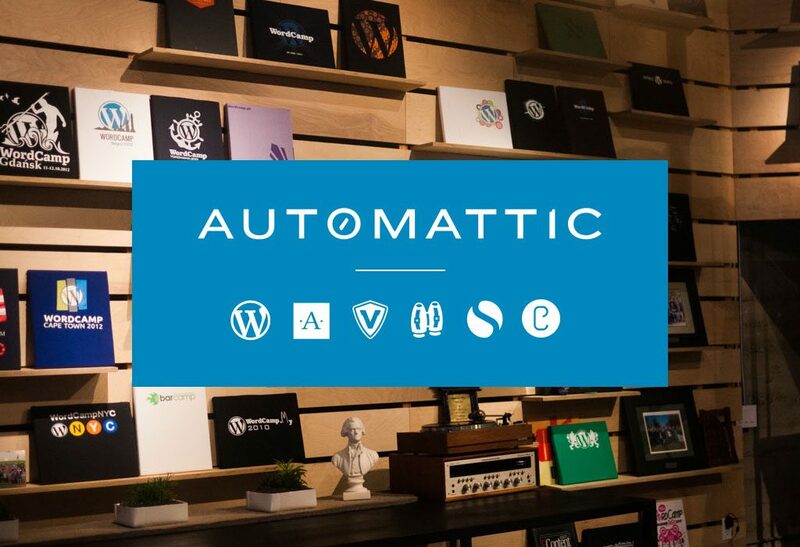 Automattic advertises its job openings in a variety of places. At the end of every receipt that you get after paying for an upgrade on WordPress.com, there’s a link that says we’re always hiring. 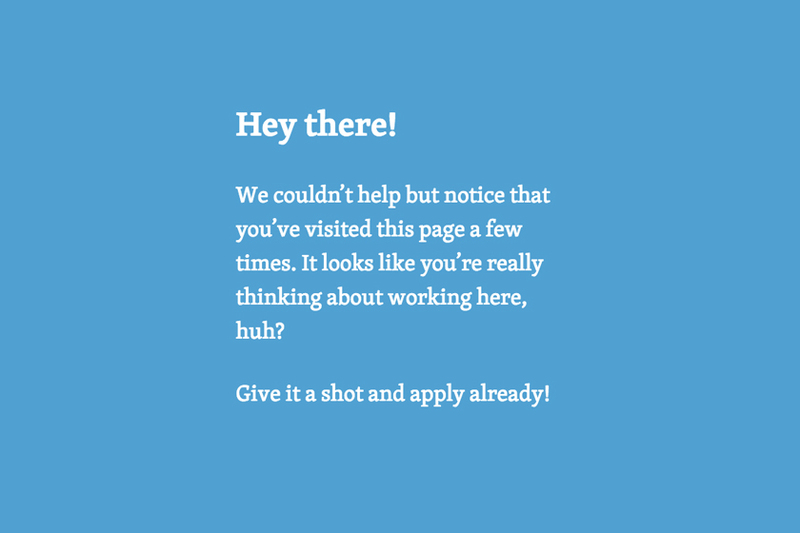 Automattic’s website has a prominent Work with Us link that always has open positions. Even on the Support section of WordPress.com, when you search for something, you may see a prompt about our job opening even before you get to what you were looking for. Being a regular WordPress.com user, it was hard for me not to notice those prominent job openings. And I thought to myself, it would be cool to become a Happiness Engineer and help other people set up their sites! My main motivation to be a Happiness Engineer was the fact that I wanted to help other people set up their blogs. As a blogger, I understand the frustration other bloggers may face when technology gets in the way. Not every other blogger is a tech-savvy like me, and I wanted to help them get set up and start blogging. But the inspiration was not enough. I knew I needed some skills. And what better way to get them other than do some actual support work! Over the years, besides writing for newspapers and magazines, I’ve also worked on upwork (previously known as oDesk and Elance that later merged) as a freelancer providing customer support. I’ve worked with a number of clients to gain some experience not only in customer support but also get better at working from home. I didn’t want to tank my shot at joining Automattic just because I was a noob. I had to ‘know what I was doing,’ and I prepared myself for it. Meanwhile, I also spent some time every now and then on the WordPress.com forums to understand some of the most common issues users were having on WordPress.com. As a regular user of WordPress.com, I also made sure I learned as much of the user-side of things as I could so that I would ‘appear knowledgeable’ if I were invited for an interview! Visit the Work With Us page multiple times and you will be nudged to take the leap of faith! I sent my application in August 2014 and heard back in February 2015. Yes, by the time I received a reply, I had already given up. But I still had a bit of hope that maybe I’ll hear back. I later found out that it was a rare slip-through-the-cracks in my case. Nowadays, applicants receive a reply much, much faster. Through back and forth emails, I was given a series of tasks that involved creating a site and following some instructions that needed a bit of WordPress knowledge. Luckily, those were pretty straightforward in my experience. A little while after completing the tasks, I was invited to the trial period. A couple of days before the trial started, I got access to some of the internal tools as well as the behemoth of information that is scattered across many p2s* and field guide pages. I didn’t know where to start, obviously. But I started reading around just to get the hang of it. There was so much to read that I felt overwhelmed 30 minutes into the reading. As someone who just got access to all those resources, it was easy for me to get overwhelmed and lost. So I decided stop reading everything and brace myself for the training. Training and the trial process have changed over the years. But the core process has remained pretty much the same. I’ll try and combine the experience during my trial with how the trial process progresses today. The training that kicked off the trial is called “Training Chaos” and it started with a “Welcome to the Chaos” message. It is still the same today. Do not underestimate the “chaos” part of it. It is very chaotic. The only way to survive this is to embrace the chaos. The first day consists of the majority of the self-guided training. The second day of the trial consists of a full day with your buddy who helps you solve the first few tickets. The buddy chooses some tickets of various kinds for you and you will work on those tickets, write a response, get feedback on improving the response, and send it away. On the first day of the training, you are first introduced to the company with a brief history and background. Gradually, you learn more about the happiness teams and various divisions at the company. Subtly, you are given a general idea of which teams are responsible for what. You are also introduced to how we communicate — which is a big part of working remotely — and the various p2s that you can follow to stay on top of the most important updates. At the end of most training pages, there are quizzes. Your trainer will look at your answers and give you feedback as you progress through the training. The training also introduces you to the most common support tools that you will be using soon. There are tons to learn about them and there are tons of those tools as well. But the training materials are designed to give you the most basic idea so that you can use them or at least know which tool you need to use for particular tasks. We have a big focus on providing live chat support to our users. So you will progress toward the live chat training. It’s a course that introduces you to our live chat tool and its interface. Your trainer also lets you log into the chat tool to see what chatting with the user feels like. You also get to see the user side of things by ‘becoming the user’ and chatting with your trainer. This helps you experience live chat from both sides of the fence. You are assigned a buddy for the duration of your trial. A buddy is a Happiness Engineer in your general timezone who assists you in a number of ways. He or she will give you feedback on your work during the trial. You can also ask them for advice on efficiency, productivity, and general work-from-home tips. Your buddy takes over the last part of the training when they select some real-world tickets for you to work on. This is you dipping your toes into the real customer support on WordPress.com. I was pretty scared at this point, naturally. But my buddy made it a great experience by providing me valuable feedback that I could act on. It’s worth noting that during my trial, I worked on some sample tickets with my buddy. These days, your buddy will take you to the real world of tickets right away. Aside from spending the full working day with your buddy — which is usually the second day of your trial — you will also get feedback from them on a regular basis. I remember my buddy sending me feedback on where I could improve, how I could have handled things differently, how to have a friendlier tone with the user and so on. You will get them too, and you will want to act on them accordingly if you want to succeed at your trial. After intense training sessions, I started working on tickets. To no one’s surprise, I was taking so long on each ticket that I opened that it quickly became a challenge to keep my confidence that I can do this. Thankfully, though, there are tons of places to search for similar issues that happened before. I quickly learned to search the right places using the right terms. It’s not an exact science, and I still sometimes struggle at searching effectively. But when searching yielded no result, I had to ask someone for help. When I was new to the virtual world of Automattic, I was scared of asking people questions. Chances are, you might be too. That’s why you have a buddy who you can ask for feedback. But for most direct support-related questions, it’s encouraged to ask other Happiness Engineers on the relevant Slack channel. Although you should search for the answers first, when you’re stuck, everyone is happy to help you out. I got tons of help from other Automatticians that I’m pretty sure I couldn’t have made it without their help. It’s a great trait found among pretty much all Automatticians — they’re all happy to help. Even when I mistakenly sent people messages at the wrong time — because time zones — they didn’t seem to mind. This friendly working environment blew me away and made me want to succeed at the trial even more. The tickets were of varying kinds. They range from domain related questions to help with setting up sites, customizing themes, and even the very basics of how to publish a post. There were tricky issues too that required quite a bit of digging around, trying to reproduce issues on my test site and asking for help. I found out that eventually, you start to see repeating issues/questions from the users. So the speed of replies increases gradually. As I kept learning from one ticket to the next, I started seeing the same types of questions coming around. As I already knew what to answer, I eventually became faster at replying to tickets. While working on tickets gives you the freedom and time to dig around and look for resolutions, the live chat is a whole different game. It was the second week of my trial if I remember correctly. After one week in tickets, it was time for me to dive into live chat. I can tell you, I was not looking forward to it. The idea of having to provide instant answers made me afraid. What if the user asked something that I didn’t know? What if the user asked something that takes me forever to answer? With mountainous worries on my mind, I started chatting with one user at a time. Eventually, the fear started to die down. There are tons of resources on various p2s where you can learn techniques on how to work with a user on live chat. I started reading and following them. There were techniques to handle multiple users at once which is something all Happiness Engineers need to do all the time. Just like I was scared before I started chatting with a user, I was scared before chatting with multiple of them too. And as you can guess, the fear eventually vanished as I realized it wasn’t rocket science. I just had to keep my head straight, stay focused, avoid feeling overwhelmed and believe in myself. You do get more comfortable as you spend more and more hours into live chat. But for me, there always was that tiny bit of fear that a user will come up with an issue that I have no idea how to fix. Thankfully, at Automattic, even when you’re a trial, you’re never alone. At a company like Automattic, which renowned publications** refer to as the “proof” that companies can go full remote and still function just as great, communication is oxygen. I wasn’t great at communication, however, I received tons of feedback from my buddy as well as my trial lead on improving communication. From the outside, it may feel like you always had to be near your computer just because you’re working from home. In fact, the reality is the opposite. You don’t necessarily have to be online at all times. That’s not what “communication is oxygen” is all about. You will set your own hours and you will only be around/online during those hours. You don’t have to be around or online at all times to be great at communication. What makes for a great communication skill is replying proactively every time someone pings you. Being proactive on a number of things, such as following up on user issues, participating in discussions, being present and active on Slack, interacting with colleagues and so on are all part of the communication skill. I’m an introverted person who prefers text over voice and video every day of the week. So I’m not the best person to be talking about communication skills, to be honest. But it is such a crucial part of the job that it needs its own section in this post. Toward the end of the trial period, generally in the 4th to 5th week, everything that you have been learning since day 1 must come together. Your trial lead looks for a number of things. They will also give you instructions and feedback as you go along the last few weeks. I was asked to focus on tickets after a week or two in live chat. I think it was because I was better at tickets than live chat. I don’t know for sure. In the first few days of the trial, everything felt chaotic. In the last few days, even though I was a lot more informed and had gotten better at replying to tickets, it still felt chaotic. Why? Because those were the days when I had to really show my strength. Those were the days when I had to show that I have what it takes. Those were the days when I had to prove that I had what it takes to be a Happiness Engineer. And then, my trial lead scheduled for a chat on Slack. Words can’t describe how slow time felt as I waited for the chat with them. As you already know, I was in for a good news. They said that they were recommending me to join Automattic as a full-time Happiness Engineer. And in a few weeks, I had the offer letter in my inbox. I hope you got a good picture of the trial process at Automattic. As said above, the trial process has changed a bit over the years. So I’ve written it in a way that combines what I’ve experienced during my trial with what the trial process will be for you today. On the next part, I’ll write about how a typical day at work (from home) is like when you’re a Happiness Engineer. This, of course, varies from one HE to the next. So I’ll write what it’s like for me on most days. * P2 is a WordPress theme used on our internal sites for all primary (apart from Slack) and discussion. It made email a thing of the past for us! Remember how during the rise of iPhone, there was always an app for that? Well, at Automattic, whether it’s a team or a product (or even a country or an interest), there’s always a P2 for that! Read more about P2 on Fast Company as well as on Matt’s blog. ** Here are some links: Quartz, Business Insider, Inc, Harvard Business Review, Slate, and Fast Company. It’s been a while since I’ve read someone’s journey. Thanks for writing and peeling back the curtain on the process and what’s changed over the years. I’ve been procrastinating on several projects too, with one actually applying. I’m glad you enjoyed! Perhaps it’s time you stopped procrastinating on one of those things! This read has been very helpful in encouraging my decision to apply to be a Happiness Engineer, thank you. After also being prompted numerous times to apply after seeing the “We couldn’t help but notice that you’ve visited this page a few times” message, and reading around, this seems like a community that I would like to get involved with. Thank you again for sharing your experience. This article is very helpful to knowing the detail of hiring process of Automattic . I would like to join Automattic community. Sajib! Thank you for the post. Where can I find part 2?